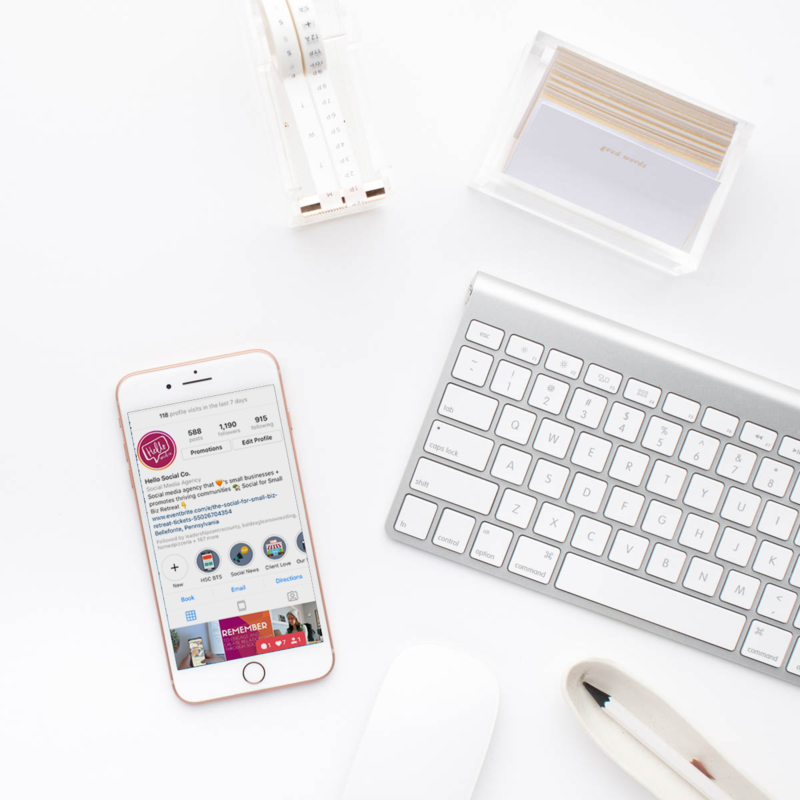 Instagram Stories changed the way we use the platform in 2018, and according to social media experts, they’ll continue to grow in popularity in 2019. It’s predicted that Stories will be used a heck of a lot more than posts in feeds in the coming year, actually. But often when we sit down for a Strategy Session with a client, they’re stumped on how to use Stories or why they should. This is probably our favorite use of Instagram Stories. Stories gives you a place to show that real, authentic side of your business without cluttering up your feed with photos that don’t fit your brand. Being a business owner is hard work, and behind-the-scenes photos give you the opportunity to show that there’s a real human working to make it happen. Reviews are important to every small business — but sometimes they can get buried under old or more prominent reviews. By taking screenshots of your reviews and sharing them in your Stories, you’re not only giving that review a little more life, but thanking that person that reviewed you as well. Occasionally, it’s OK to highlight products that your business is selling (or services) to get more traction on them! When you do this via Stories, you should Highlight them on your Instagram account so that they’ll live forever on your page — or at least until that item is no longer in stock. Do you have questions that regularly get asked by customers or clients? Consider creating an FAQ Highlight, and use Stories to answer these. You’ll still get questions from some customers, but many of them will be able to find all of the answers they’re looking for on your Stories. Don’t forget that your Stories don’t always have to be photos or videos. There are tons of great tools out there — like Canva — that allow you to create beautiful, branded Story templates for use on your accounts. Ellen Matis is the owner of Hello Social Co., a social media marketing agency that uses the Focus on Local Approach to help small businesses grow within their local communities. Learn more at www.hellosocialco.com.